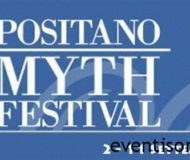 Starting Friday, September 2nd and finishing Sunday, September 11th – 2011 Positano Myths Festival, one of the most important events of the year on the Amalfi coast. The theme of this edition will focus on the female figure and the crucial role held by them over the years which have also characterized the history of humanity. The event will retrace the deeds of important women, divine creatures or human, since ancient Greece. Women such as Eve, Pandora, Gaia, or companions of the great heroes like Elena, Andromache or Penelope were mentioned by great writers such as Homer and Virgil, until more recent times, where authors like Rilke, Unamuno or Goethe were fascinated by these famous women. They will, therefore, be dedicated in honor the entire day September 10th, with speeches and discussions. Other days will be dedicated to art, starring notable guests. September 4th will be the cello of Paul Andriotti to delight the audience, while the 7th and 8th of September the wonderful Korean musician Kun Woo Paik will be placed on stage. The Ballet will close the event, on Sunday September 11th, with Rossella Brescia and Stefano de Martino to perform in Cassandra, Luciano Cannito. Brought to you by Anna Biagiotti, Roberta Bignardi, Daniele Cipriani, Carmela Piccione, Maurizio Varamo. Judged by: Presidente Alfio Agostini (Ballet 2000) -Anna Kisselgoff(New York Times) -Erik Aschengreen (Berlingske Tidende di Copenhagen) – Clement Crisp (Financial Times) – Dominique Frétard (Le Monde) Roger Salas (El Pais) – Donatella Bertozzi (Il Messaggero) Elisa Vaccarino (Il Giorno). Description: Will start Friday, September 2 and will run until the 11th Positano Myth Festival 2011. The event program and curiosity.